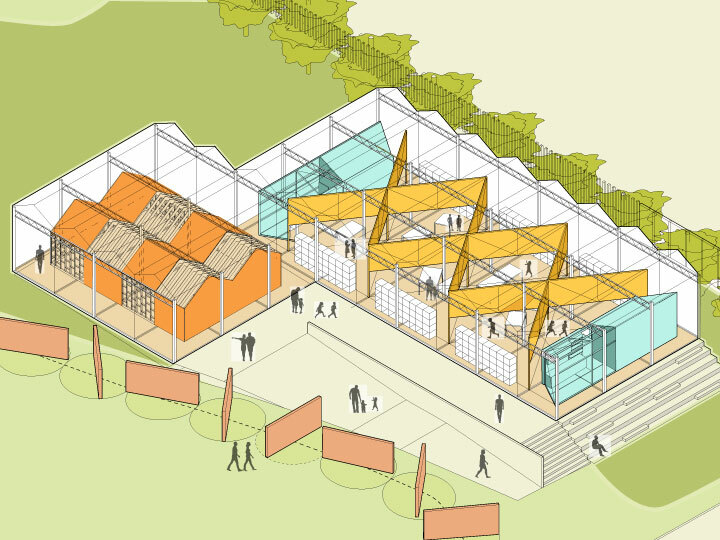 This exhibit is designed as a linear environment in the shape of an elevated ADA ramp-promenade that moves from West-East, across the length of EarthLab, enabling students to view the entire park, and understand the relationship between energy, water and food exhibits. This environment is composed of smaller exhibits and narratives to introduce children to the idea of how zero-net communities balance energy consumption and production, and as such, connect to indigenous holistic environmental practices that respect the environmental carrying capacity of a bio-region. This exhibit is designed as a solar and sound wall to buffer the EarthLab from freeway 94. 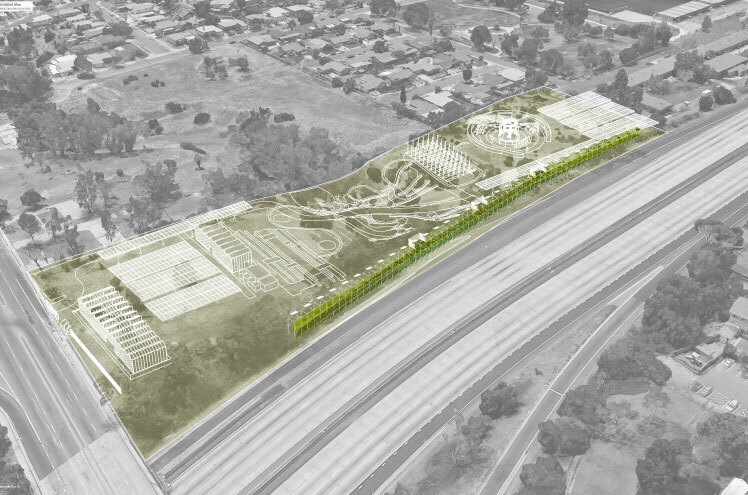 The main environment for the zero-net education exhibit takes the shape of a sound-solar wall to protect EarthLab from the noise of 94 freeway to the North. Instead of the generic concrete block wall often used as a border between freeway and neighborhood, this wall is designed as an environmental structure, taking the form of a living wall, a light metal scaffold system that will be covered by vegetation and acoustic panels to become a carbon sequestration and noise mitigation infrastructure, as well as the support system for a robust photovoltaic installation. As children walk through this structure, they will experience a series of narratives about zero-net communities intertwined with Kumeyaay environmental best practices that holistically connect energy, water and food production. Along the structure there are a series of lookouts that enable students to view the entire EarthLab climate action park as a system. 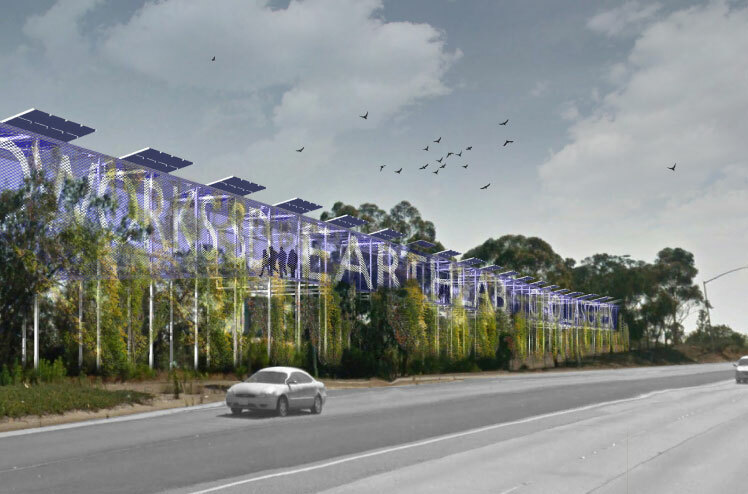 This structure is also designed as a large sign that announces the EarthLab to the traffic along the freeway, making The EarthLab the gateway to the Encanto Communities.